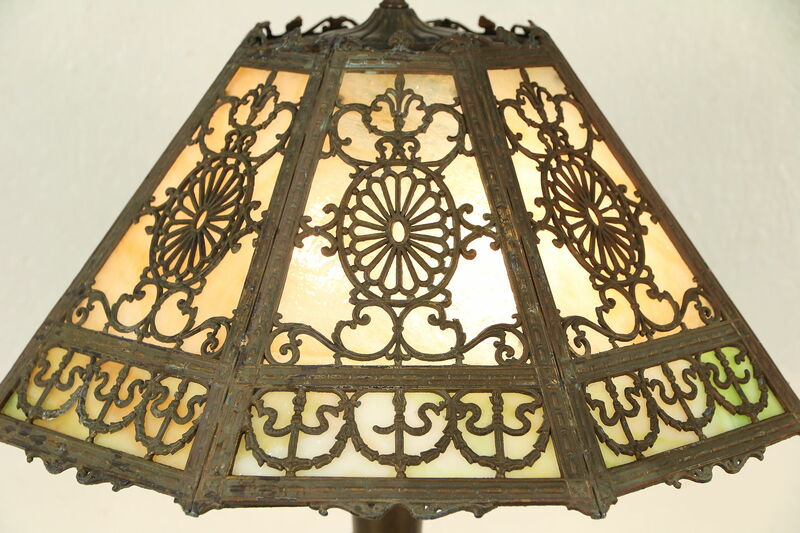 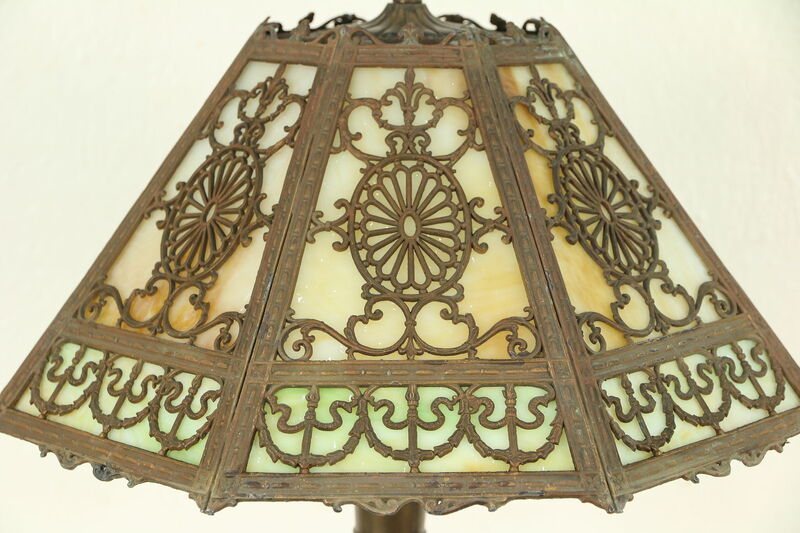 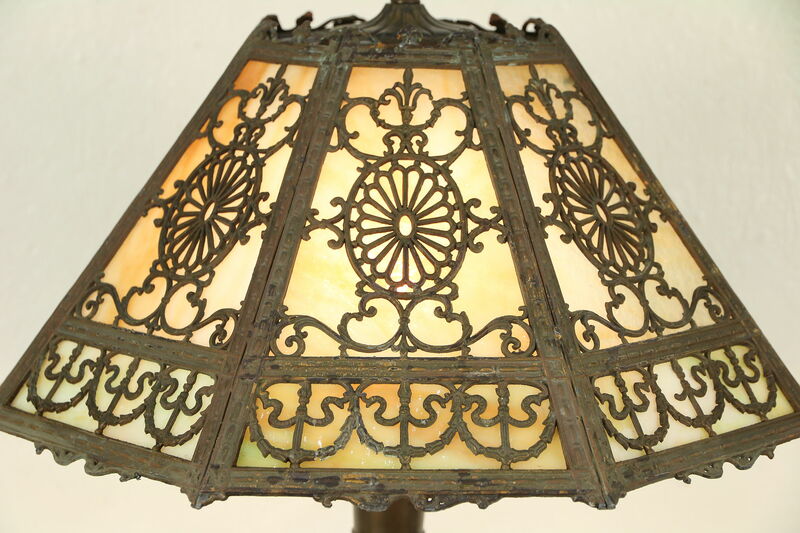 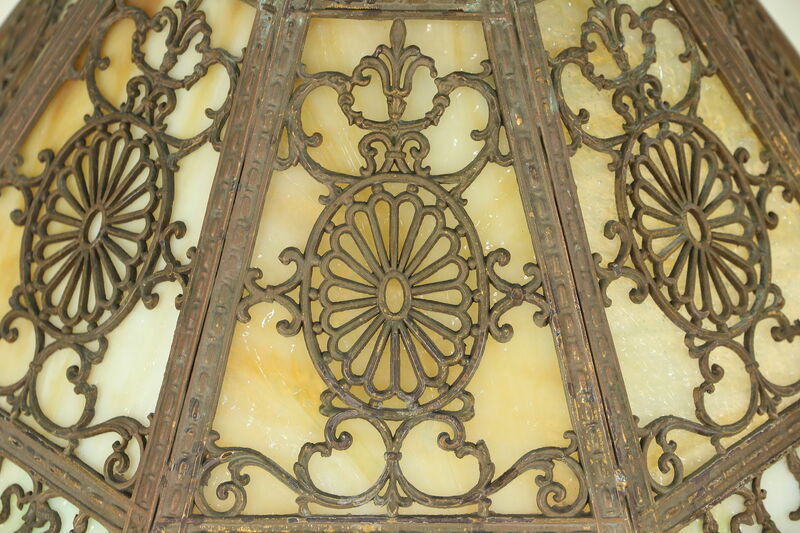 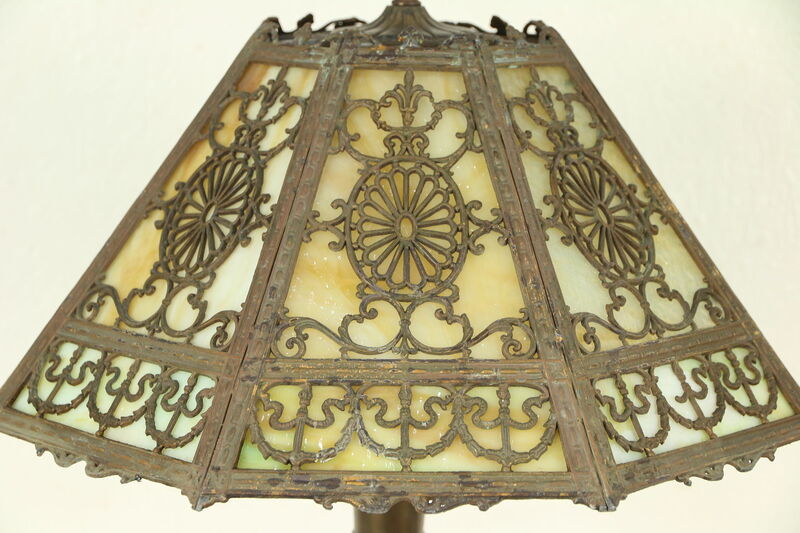 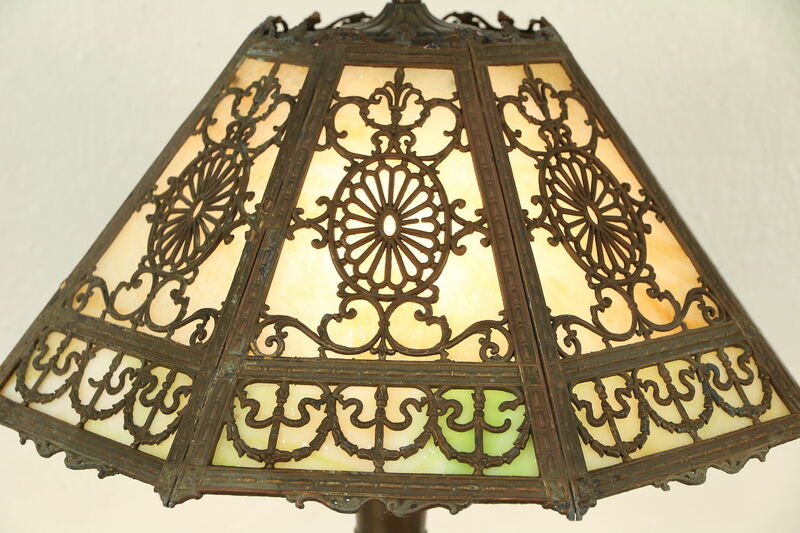 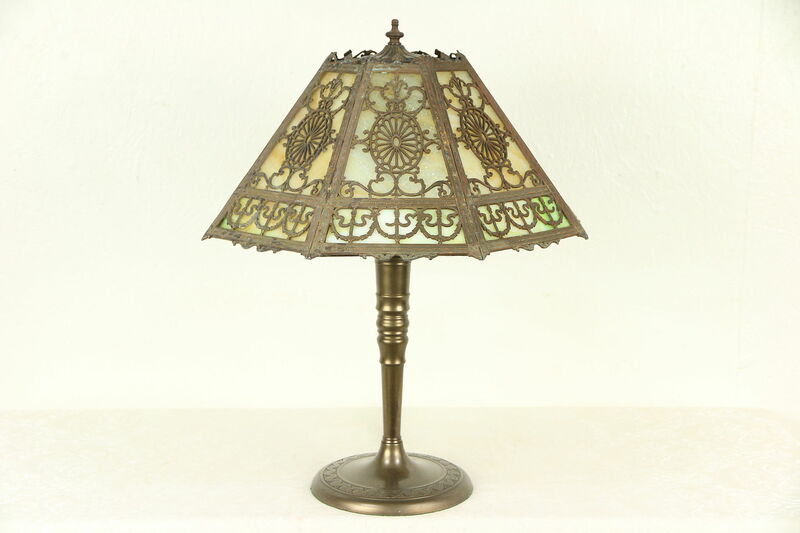 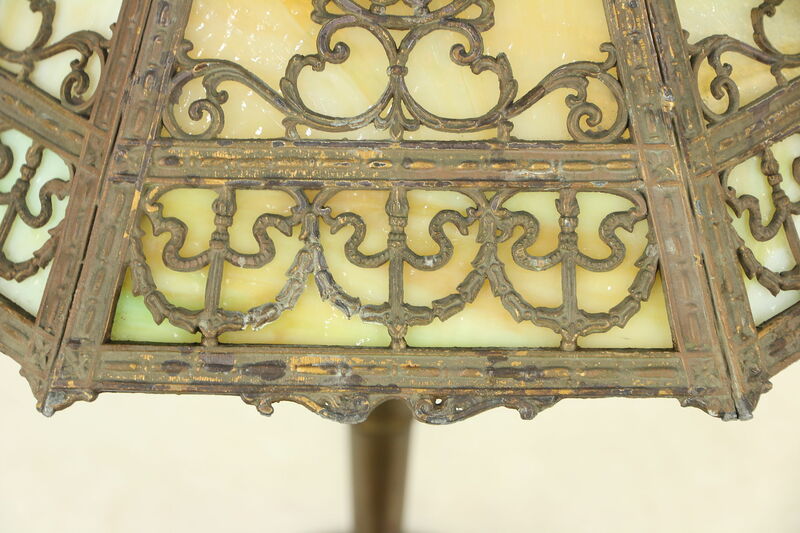 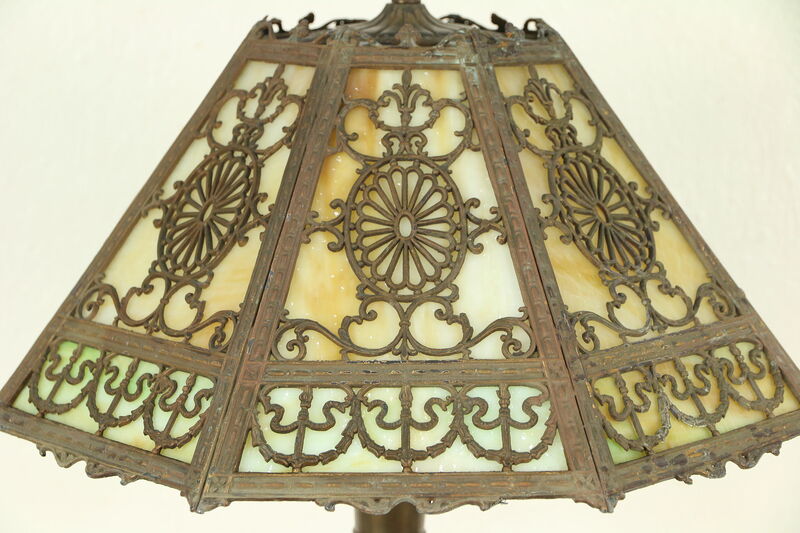 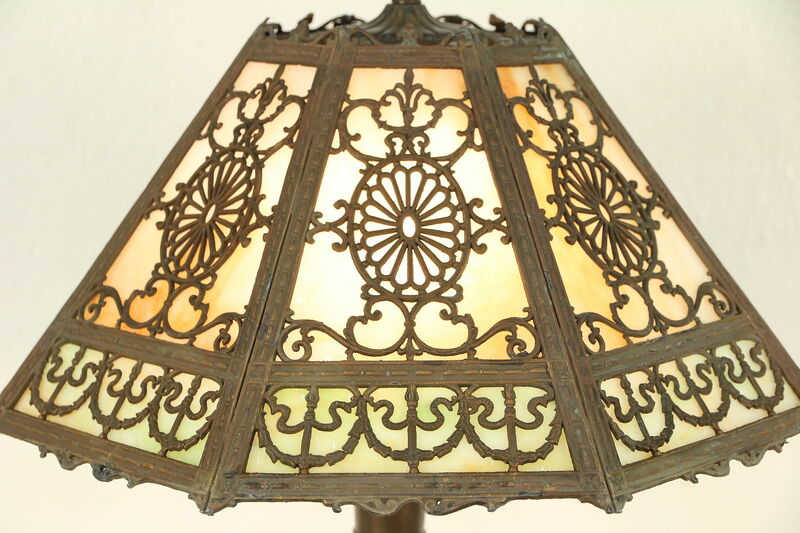 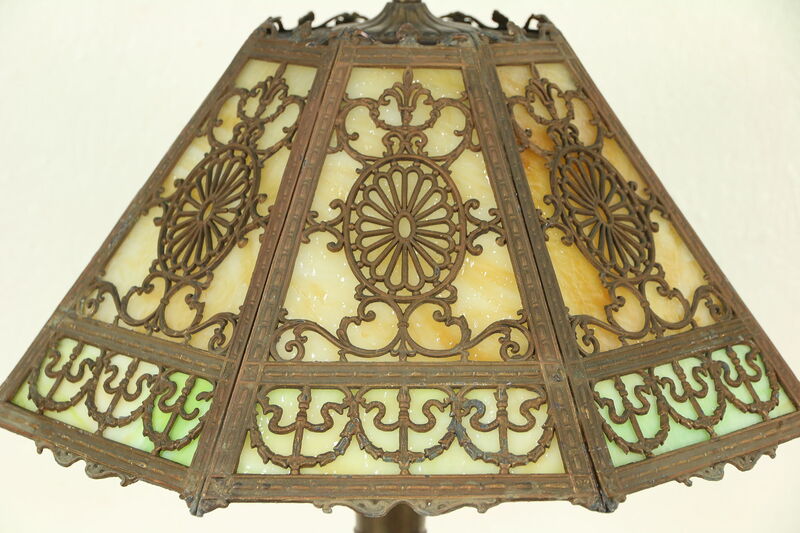 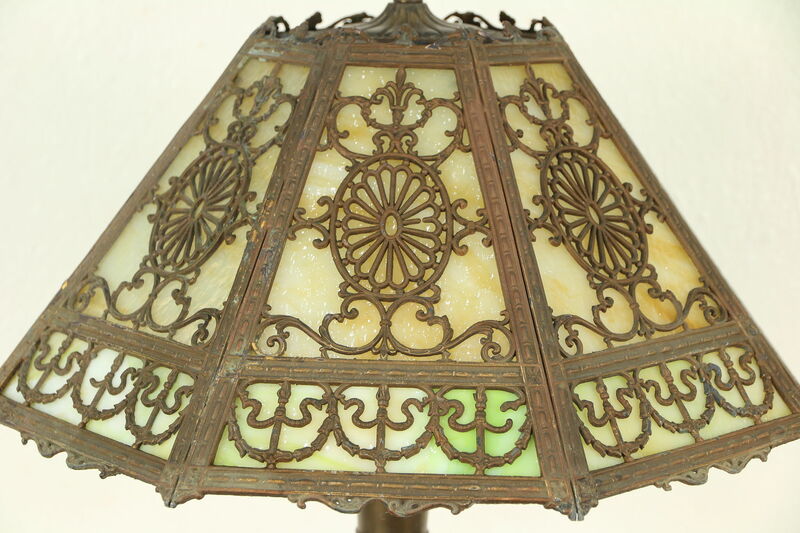 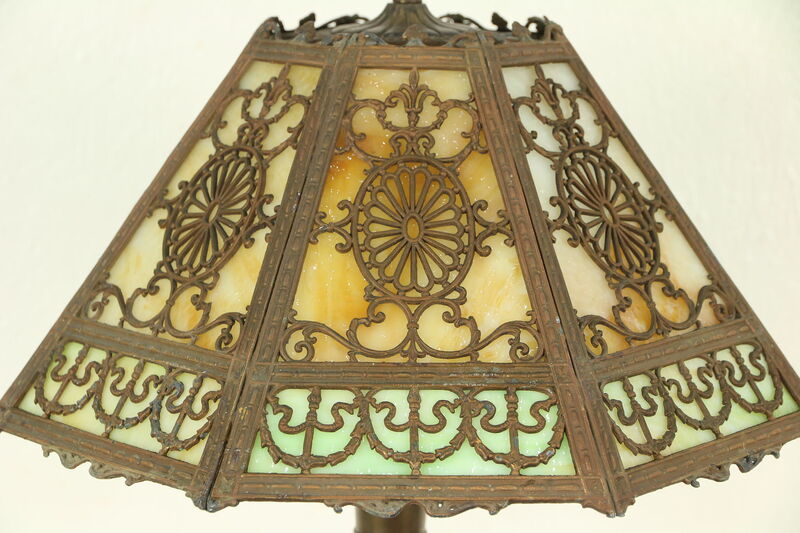 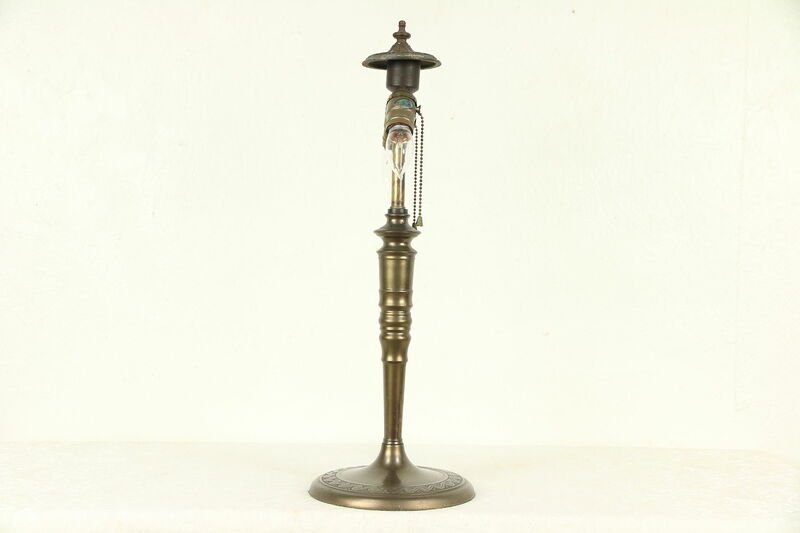 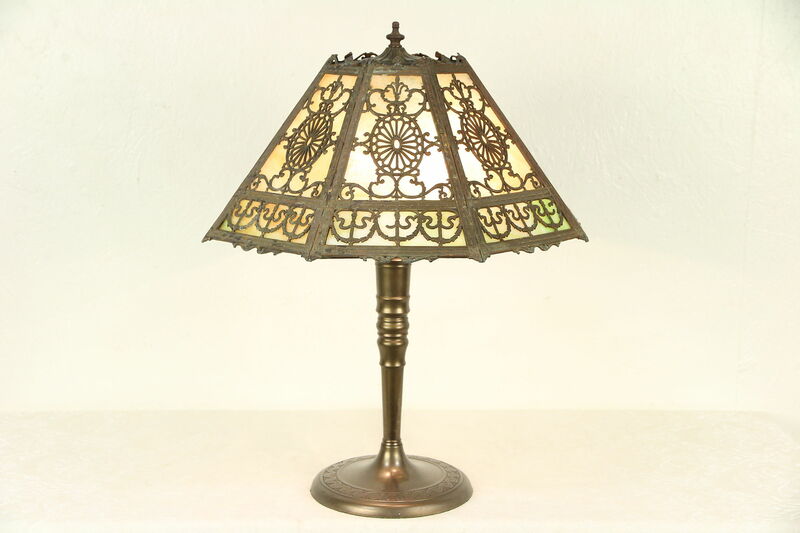 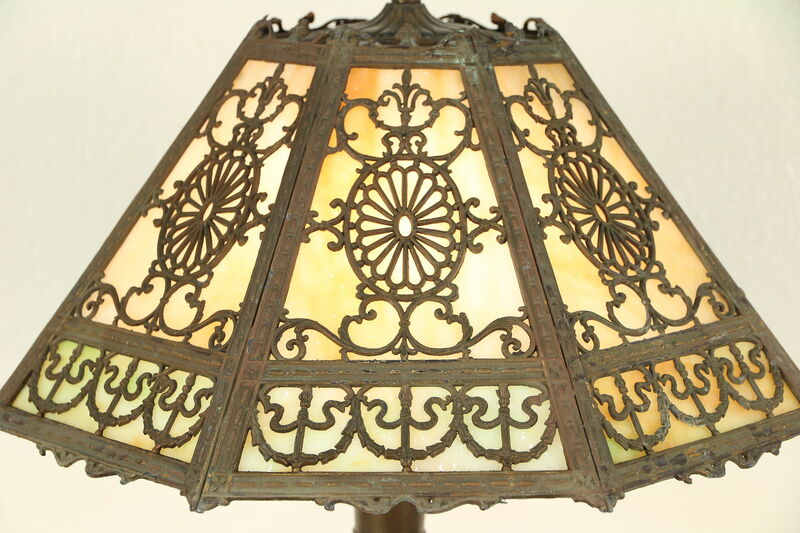 A lovely table lamp from about 1920 has an original filigree shade with two colors of stained "slag" glass panels. 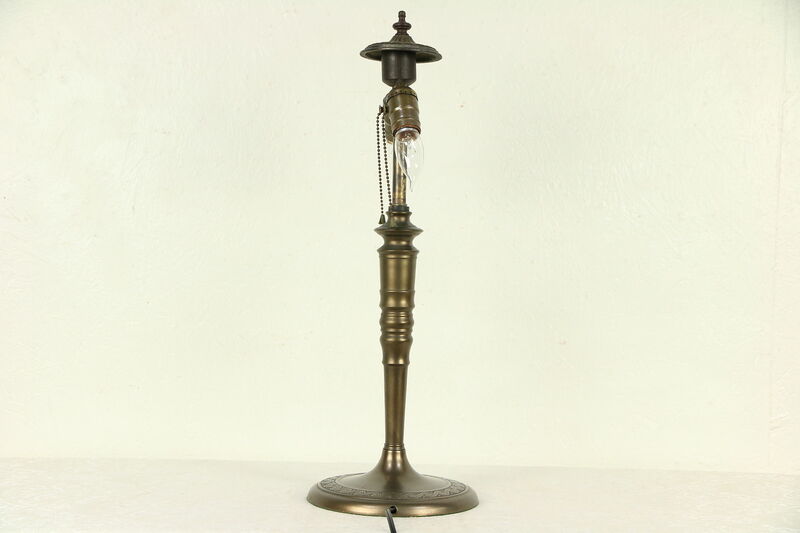 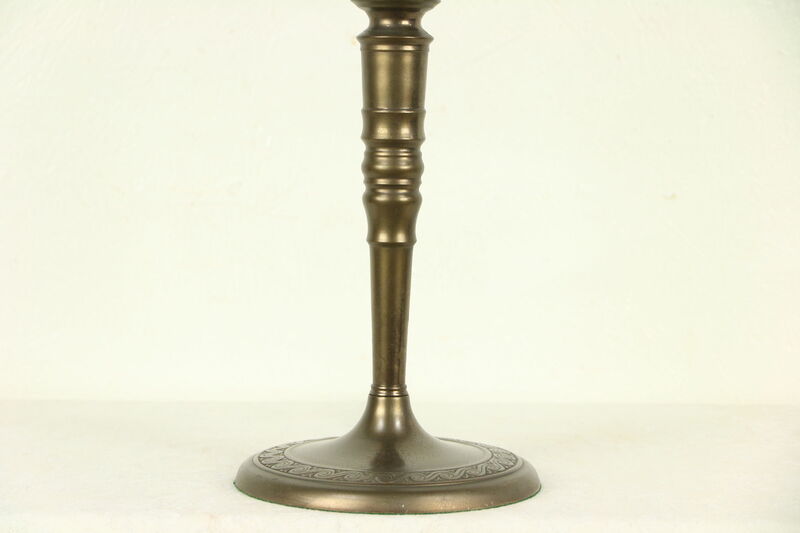 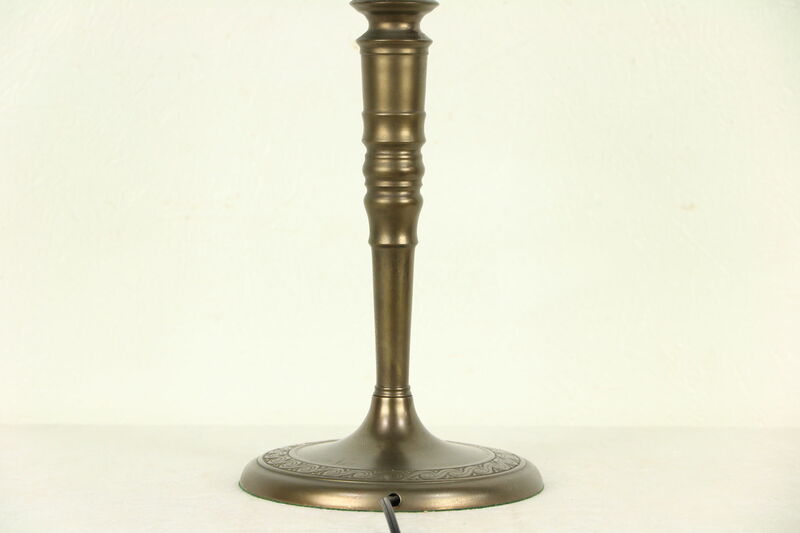 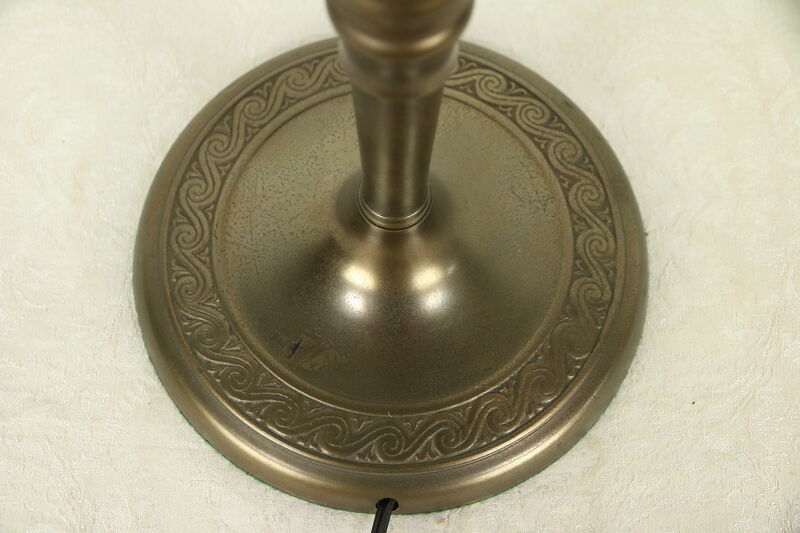 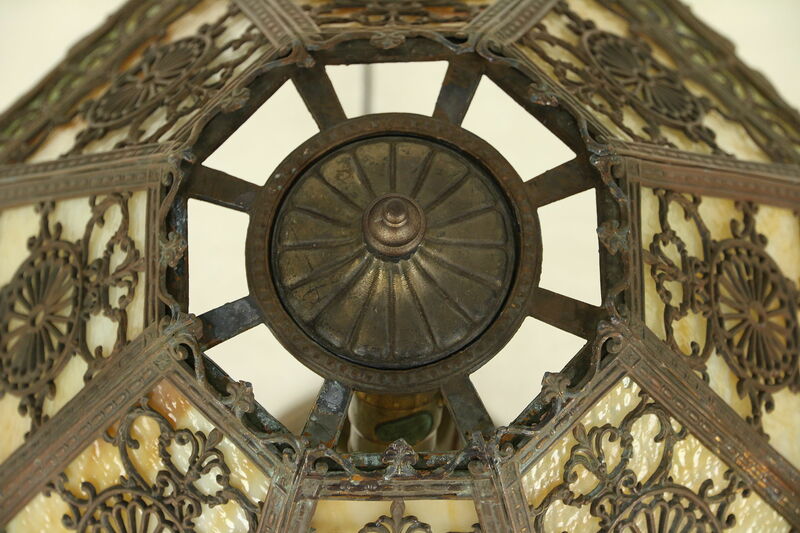 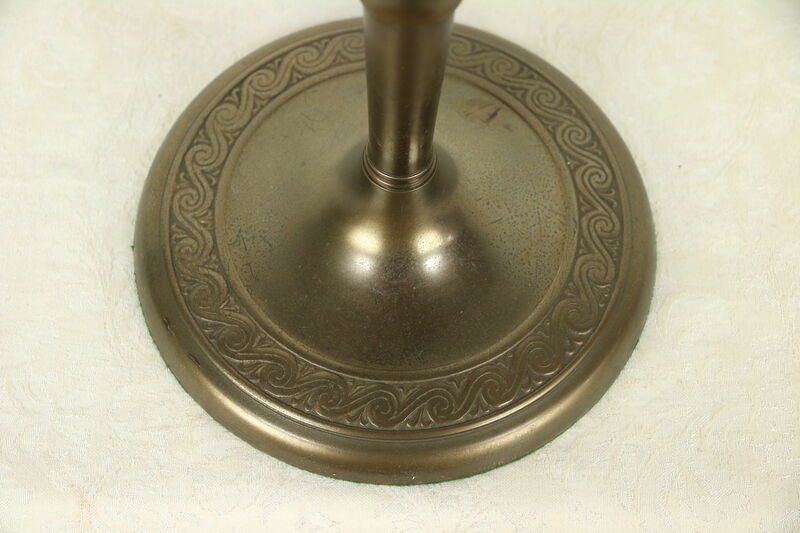 The turned base is weighted on this antique American made light. 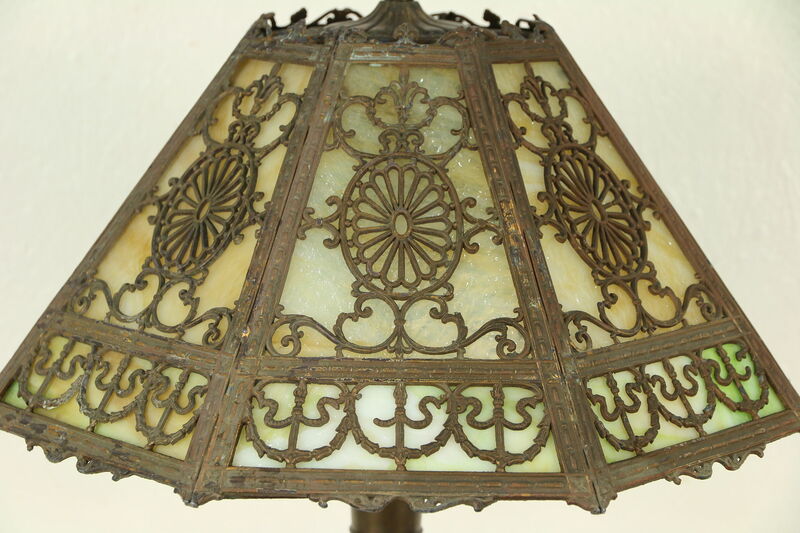 Size is 18" across and 22" tall.